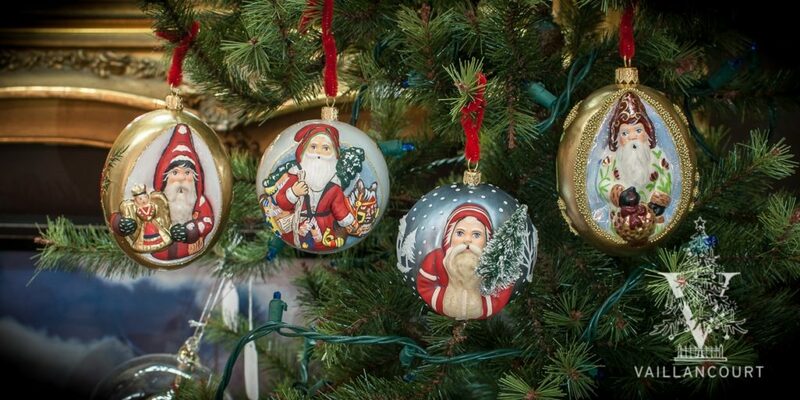 Hand painted in Sutton, MA the 2017 Irish Santa is the perfect way to celebrate St. Patrick’s day with a fine art quality Chalkware collectible. You’ve got to catch him if you want the luck of the Irish Santa! And, in this situation, we usher in the spring season with a charming gnome dressed to inspire St. Patrick himself. Adorned with green accents borrowed by the Leprechaun, this gnome is seen riding a rabbit through the green grass of Ireland. In his basket, you’ll find it’s full of clovers and greens. 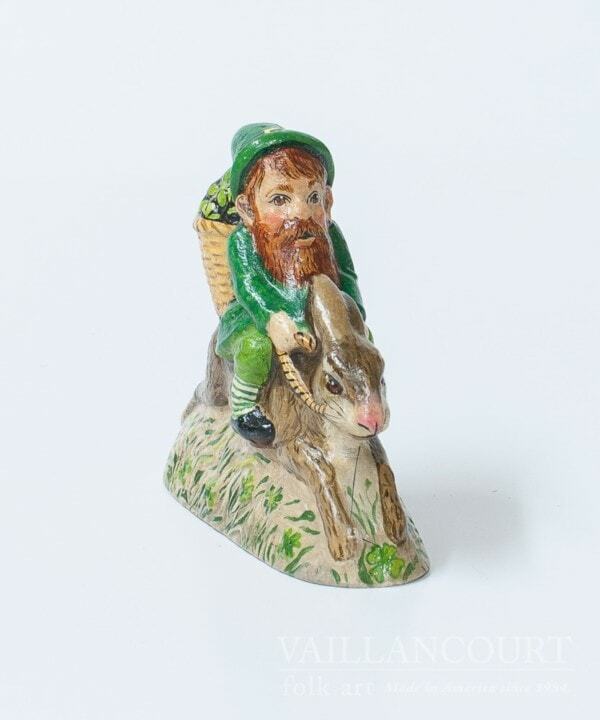 The perfect compliment to any Luck Series collection for St. Patrick’s Day with Vaillancourt chalkware!